We Wanted to Take More, So We Did! A week before heading to Africa on my first trip to the continent in late 2014, I came across a link to Pack for a Purpose. 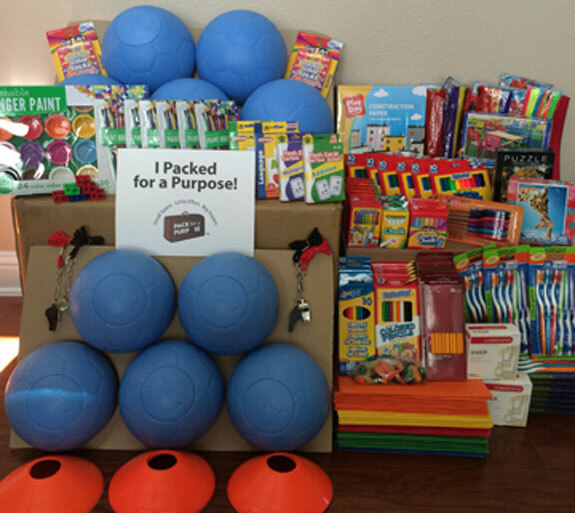 What a great idea, to take five pounds of needed items for a school or community with us in our suitcases. 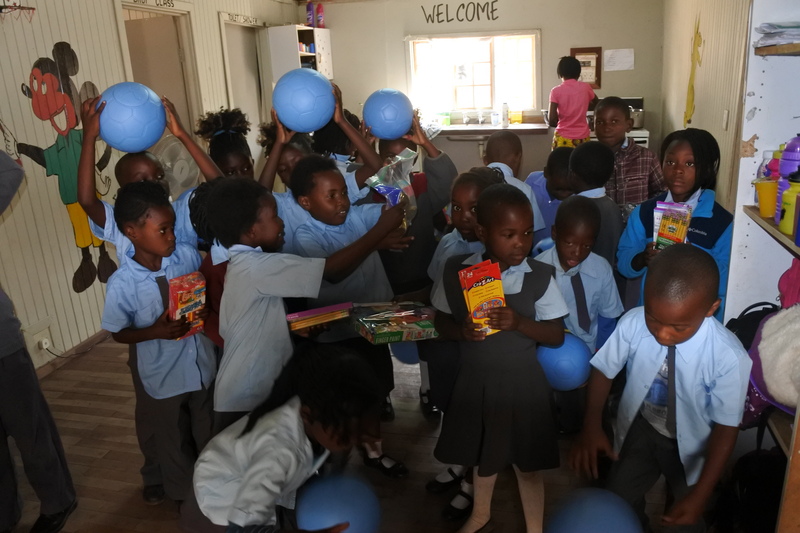 The safari lodge, Vumbura Plains, in Botswana was collecting donations. Since we had less than a week’s notice, I simply packed new items from the Vumbura Plains needs list that I already had in the house or found at our local Target. 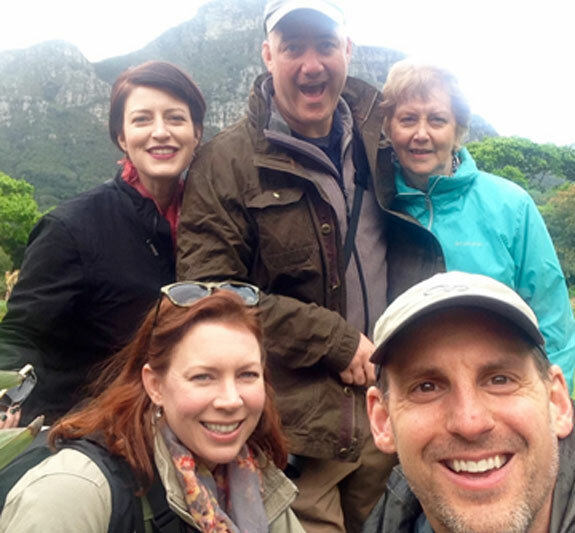 When we got to Africa, we just wished that we had taken more items…so we decided that on our next trip we would do just that. Fast forward a little over a year to our second trip to Africa in 2016. I got in contact with our lodge in Zambia, the Royal Chundu. They support a school nearby where some of the kids of the staff attend. 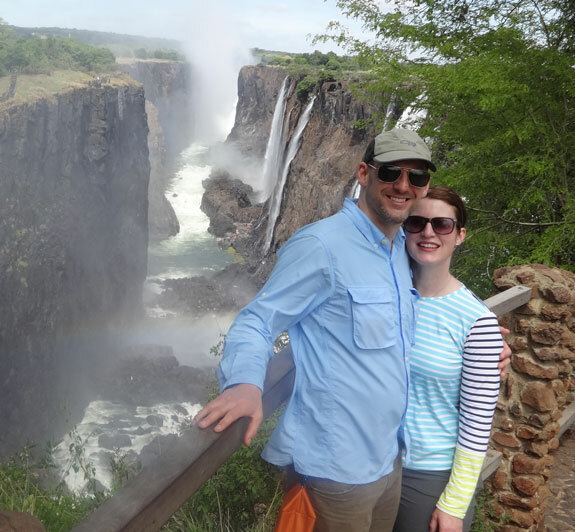 We traveled to Zambia in September, which lined up beautifully with Back to School sales here in the states. I went to several stores and loaded up on Back to School specials based on what the school had on the needs list. Five pounds of donations turned into 10 pounds, then 30! We completely filled a duffel bag with school supplies and checked it as luggage on our flight to Africa. We also bought a dozen soccer balls from One World Play Project and checked those as luggage as well. The key is that we picked a donation location at the front end of our trip, so we didn’t need to transport the extra luggage around. All these items were lightweight and non-breakable, and because of this we were able to take a lot of items for only 30 pounds of weight. Since we were transporting these supplies in a duffel bag, I wrapped some of them together with plastic wrap so they would not slip around in the bag. Upon arrival in Zambia, we were given a tour of the school which had about 54 children ages 2-8. They originally started with one grade level, but have added two more grade levels in two years, due to the expanding size of the school. The children treated us to a song and dancing and we got to pass out all the school supplies that we brought. It was the highlight of our trip! Going forward, I have a “Pack for a Purpose” bin in my house. Whenever there is a sale on staple items that are needed such as band aids, toothbrushes, school supplies – it goes in the bin. When we plan a trip, we check the Pack for a Purpose website to find a donation location near us in the country we are visiting. Traveling with only a carry-on, you might think that it is not possible to take items. I am here to tell you that it is easy. With just a little pre-planning, you can select from the needs list lightweight, non bulky items that don’t take up much room in your suitcase.